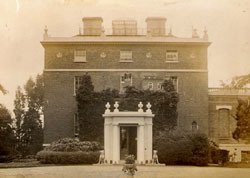 In 1795 John Walter acquired the lease of The Grove, the house designed for Moses Franks in 1763, after relinquishing editorship of the Times to his eldest son William. John Walter was born in 1739, the son of a coal merchant in the City of London. 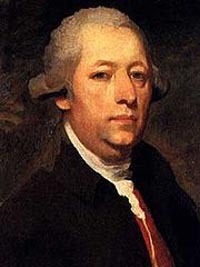 He succeeded his father in the business in about 1755 and took a leading part in the establishment of the Coal Market and Coal Exchange and made a considerable fortune. He also became a marine underwriter and in 1781 gave up the coal business to concentrate on this interest. He became involved in some hazardous speculations and became a member of Lloyds. The American War of Independence proved costly and in 1782 he became bankrupt. He then became interested in various methods of printing and eventually started a small newspaper, The Daily Universal Register, first published on 1st January 1785. Three years later the paper bore the name The Times or Daily Universal Register, the latter part of the name soon being dropped. 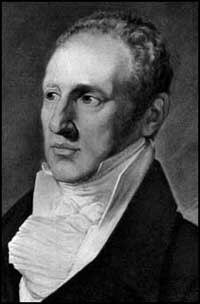 John Walter, as proprietor of the paper accepted Treasury subsidies and published personal paragraphs in his paper which he was then paid to contradict. He was prosecuted for libel on the Duke of York for which he was imprisoned for a year and on the Prince of Wales for which he was pardoned, but his health was impaired and he retired to Teddington. His eldest son William, who also moved to Teddington, took over the management of the paper but was not a success and the paper was then taken over by the younger son John. In 1798 John Walter instituted a law suit against the churchwardens because shortly after he had moved into The Grove he had applied, unsuccessfully, for a pew in St Mary's Church. The churchwardens had not seated him and his family in a pew "according to his position and condition, he being a principal inhabitant and parishioner". At this time all the pews in the church were attached to a house in the village and presumably The Grove, having first been owned by a Jew, did not have a pew attached to it. The church was full and John Walter had been told he could erect a pew in the gallery on payment of £5 to the parish but he had refused this offer. The result of the court case was that it was judged to be illegal to sell pews in a church and the process must cease. In 1800 the pews in the church were re-allocated and John Walter himself became a churchwarden.